Choose the triple combo package and feast on a sumptuous buffet lunch! Amazing experience at Nong Nooch! Beautiful gardens to see, by foot or by bus tour, and elephants to ride! Nong Nooch is still expanding, and it is already a size fit for a half day's activities. I would like to visit again. 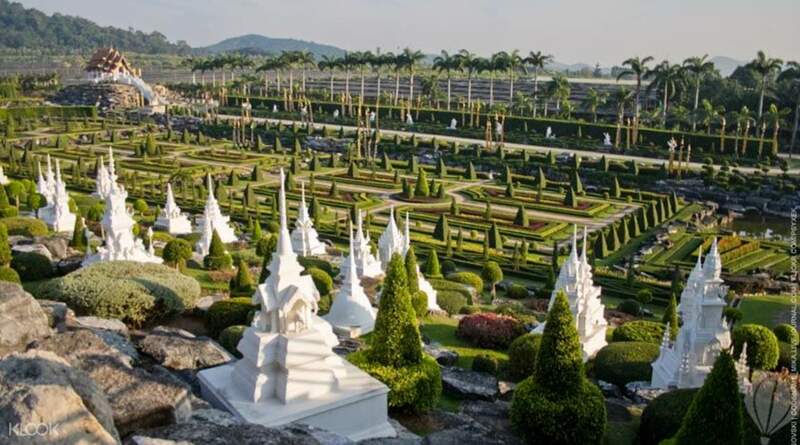 Whether you've got green fingers or not, you'll be thoroughly impressed by the beautiful 600-acres of Nong Nooch Tropical Gardens. Providing a tranquil day excursion from Phuket, you can roam the acres of intricately landscaped grounds (winner of numerous international awards) and take in the fusion of European and Thai inspiration. You'll lose track of time discovering the unique areas of orchids, fountains, topiary, waterfalls, cacti, ferns, bonsai and even a mini Stonehenge! 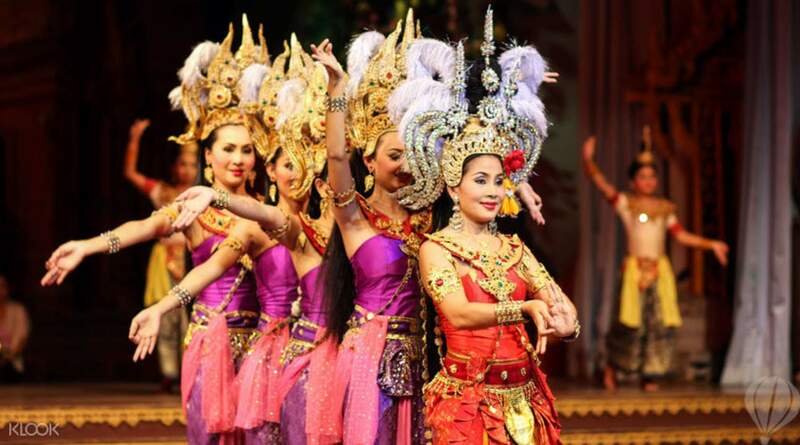 While you're there, don't miss the elephant show (cheer along football- and basketball-playing elephants) and the Thai culture show (dancers and actors re-create historical events and Muay Thai boxing). And to top it off, a delicious lunch buffet is included in the price. Make a visit to the Animal Kingdom and walk amid various animals, and even some dinosaurs! Amazing experience at Nong Nooch! Beautiful gardens to see, by foot or by bus tour, and elephants to ride! Nong Nooch is still expanding, and it is already a size fit for a half day's activities. I would like to visit again. Amazing experience at Nong Nooch! Beautiful gardens to see, by foot or by bus tour, and elephants to ride! Nong Nooch is still expanding, and it is already a size fit for a half day's activities. I would like to visit again. It was a fun day and the scenery is awesome. You can roam around and see the different places they have to offer. You will have a nice day at Nong Nooch Tropical Garden so dont miss it :) We chose the admission + show and lunch and it was worth it for the value you paid. It was a fun day and the scenery is awesome. You can roam around and see the different places they have to offer. You will have a nice day at Nong Nooch Tropical Garden so dont miss it :) We chose the admission + show and lunch and it was worth it for the value you paid. Excellent. We loved to see the elephant show and the car garden. The cars displayed are stylish. It was very convenient to enjoy the view of the garden by using the Skywalk. The buffet lunch was good with an international mix of food. Excellent. We loved to see the elephant show and the car garden. The cars displayed are stylish. It was very convenient to enjoy the view of the garden by using the Skywalk. The buffet lunch was good with an international mix of food. one of the best garden ever visited. 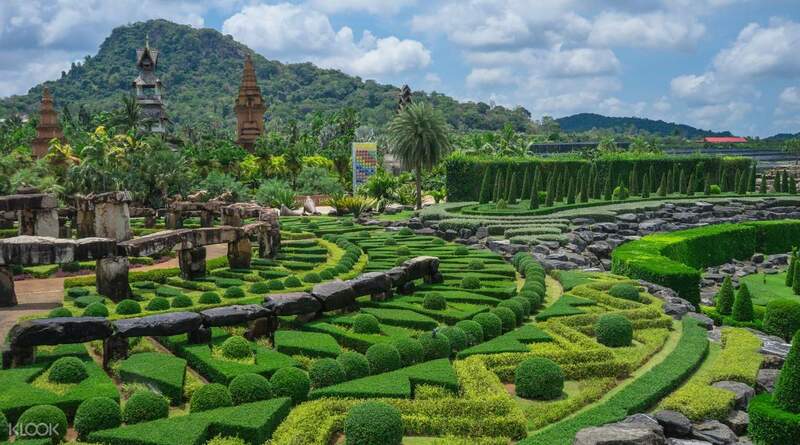 if you are in Pattaya, make your visit memorable by visiting this beautiful garden. Book through Klook for amazing discount and express ticket redemption at the gardens ticket counter. We had an amazing experience and Klook made it is easy and save some on ticket. one of the best garden ever visited. 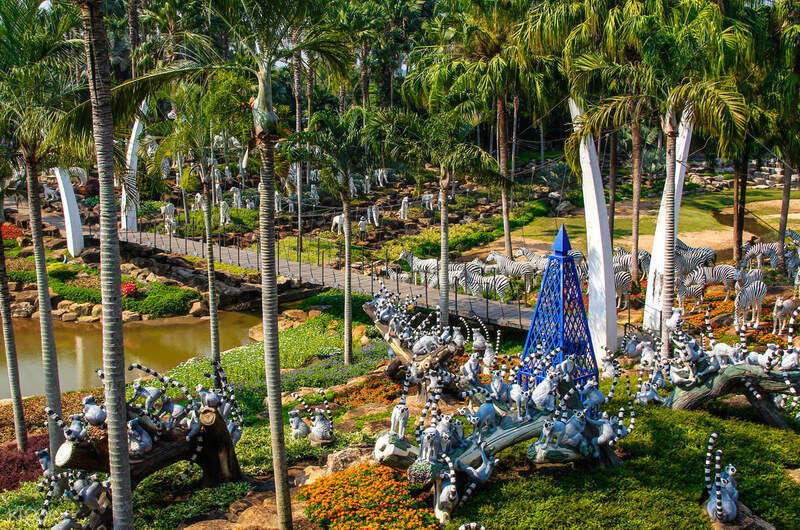 if you are in Pattaya, make your visit memorable by visiting this beautiful garden. Book through Klook for amazing discount and express ticket redemption at the gardens ticket counter. We had an amazing experience and Klook made it is easy and save some on ticket. Beautiful place to visit, many things to do inside the garden. Dino park,french garden etc.. very far from pattaya central. Bhat bus is tough to get due to distance. you can bargain a bike rider to drop you for 300 bhat. Beautiful place to visit, many things to do inside the garden. Dino park,french garden etc.. very far from pattaya central. Bhat bus is tough to get due to distance. you can bargain a bike rider to drop you for 300 bhat. Worth the time and money. It was also a learning experience. Just didn't like how elephants are treated inside. We saw elephants whose neck and feet are chained on to the railings. They were crying. you can literally see tears drop. 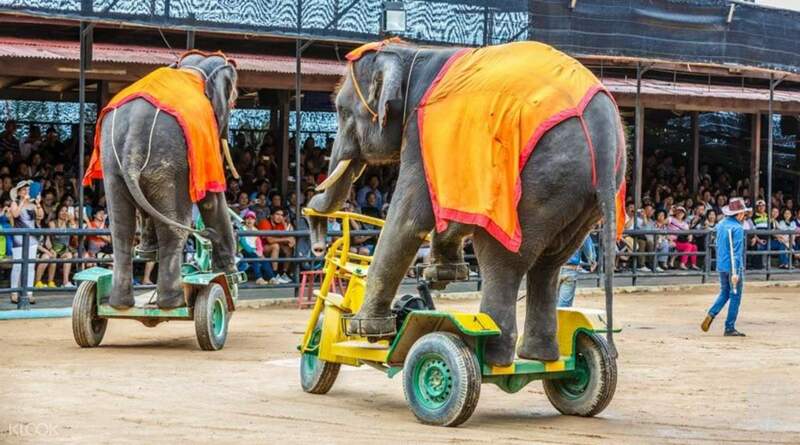 some elephants sway in distress and people think they are dancing. elephants were hit with sharp objects just to make them follow orders. It was heartbreaking to see. Worth the time and money. It was also a learning experience. Just didn't like how elephants are treated inside. We saw elephants whose neck and feet are chained on to the railings. They were crying. you can literally see tears drop. 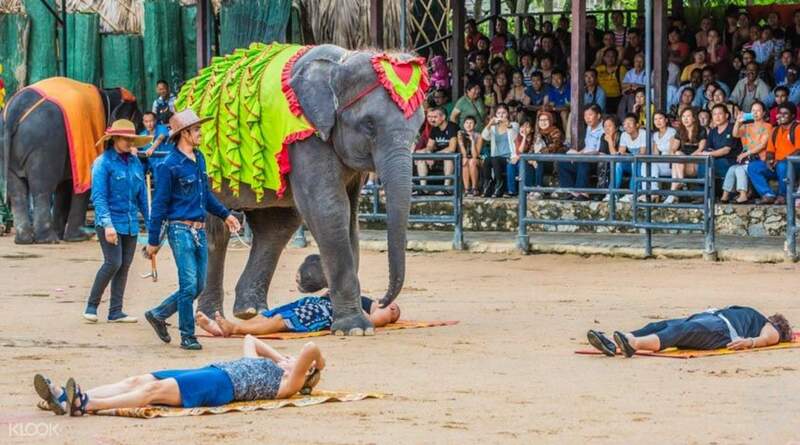 some elephants sway in distress and people think they are dancing. elephants were hit with sharp objects just to make them follow orders. It was heartbreaking to see. my second time to go here. but i wasnt able to book via klook on my first time. so now, i already did and it was indeed less hassle. just go to the online booking window in entrance amd tjey will give you the ticket already. my second time to go here. but i wasnt able to book via klook on my first time. so now, i already did and it was indeed less hassle. just go to the online booking window in entrance amd tjey will give you the ticket already.